Some records, through reputation alone, can become almost mythical. 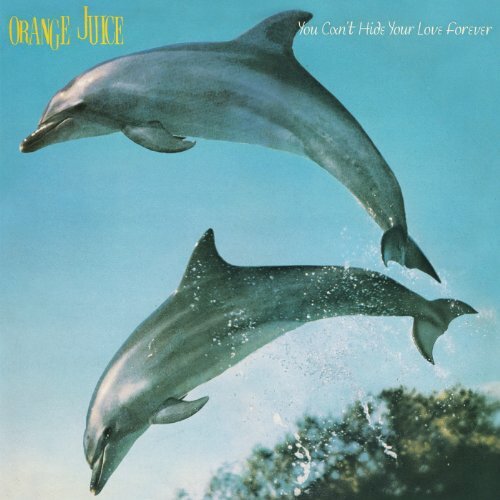 Orange Juices’ debut You Can’t Hide Your Love Forever came out the year I was born (1982) and hasn’t been readily available for some time. Yet I’ve seen that cover and heard that album title referenced so much over the years. This album has been talked about in hushed tones and the band name-checked as an influence on some of my favourite artists; Belle & Sebastian, The Wedding Present, The Cribs and Comet Gain are all massive fans. 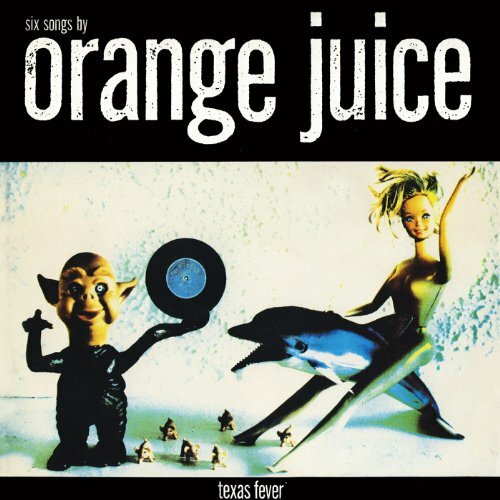 Although I had heard Orange Juice before, through the fantastic The Glasgow School compilation. I approached this reissue of their perceived ‘finest work’ with a sense of anticipation and a certain amount of trepidation. Was this really some long-neglected, Holy Grail of ‘indie’ or simply a little overrated? The album opens with the Glaswegian’s debut single, ‘Falling and Laughing’; the band arriving perfectly formed. We get the irresistible jangle of Edwyn Collins’ and James Kirk's guitars coupled to the superb, Talking Heads-inspired rhythm section of David McClymont and Steven Daly. The dynamic between the track's upbeat, indie-disco vibes and Collins' heart-on-sleeve lyricism (“They say that there’s a thousand like you/ Well, maybe that’s true/ I fell for you and nobody else”) would inspire many a budding musician over the years. It all sounds remarkably fresh for a song that's more than 30-years-old. You Can’t Hide Your Love Forever is imbued with a kind of melancholic optimism. This is perhaps never better illustrated than on the wonderful ‘Satellite City’, where Collins’ tales of romantic woes are perfectly complimented by the lively, Dexys-mirroring horn section. 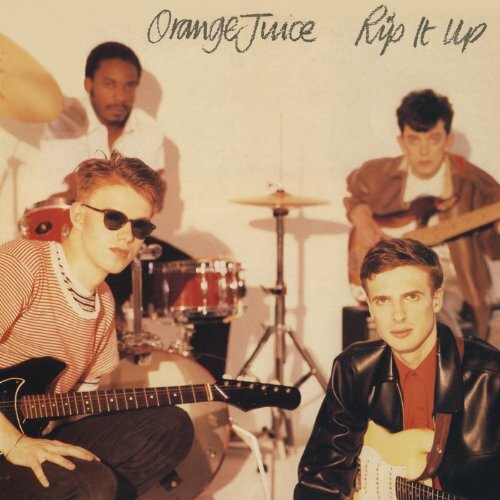 Orange Juice has become a quintessential indie band, yet this album is the sound of a band reaching for much, much more. The swooning backing vocals and harmonies on tracks such as the wonderful ‘L.O.V.E. Love’ reveal a band aiming well beyond indie discos and cult appeal. Edwyn Collins is something of a natural frontman; his sharp, self-effacing wordplay further separating the band from the crowd. Collins is clearly not unaccustomed to unrequited love yet the lyrics remain far too witty and intelligent to be anything approaching banal miserablism. Take the glorious ‘Consolation Prize’, on which he sings: “I wore my fringe like Roger McGuinn's/ I was hoping to impress/ So frightfully camp, it made you laugh/ Tomorrow I'll buy myself a dress/ How ludicrous”. He certainly gives Morrissey a run for his money. There is an irrepressible energy and youthful naivety to You Can’t Hide Your Love Forever, an album which seems to carry all the hopes and aspirations of a fledgling band. Yet it is far from some ramshackle, lo-fi affair; the album remains a unique and ambitious document. Brilliant write up. His death seems to have been hidden away in the mainstream press but he deserves more credit. The story about the axe is one I've heard so many times but it's just crazy. Listen to Frankie Teardrop and imagine a room full of Clash fans reacting after 10 minutes. One good thing, if musos keep dying at this rate, we get some more of your insightful and passionate writing. Cheers Rich.